GOVERNMENT has set up an inter-ministerial committee to oversee an introduction of mini-buses to ply various urban routes, as Zimbabwe steps up efforts to bring national passenger company — Zupco — back to life and establish a reliable mass public transport system. The Sunday Mail has established that over the past two weeks, Government officials have been locked in consultative meetings with stakeholders in the transport sector to strategise modalities for introducing the small buses. These will complement conventional buses introduced a fortnight ago in urban areas. The new mass public transport model will see Government engage various private players under the Zupco franchise. Management modalities are still being mapped out. An inter-ministerial committee which comprises Ministries of Finance and Economic Development, Local Government, Public Works and National Housing and Transport and Infrastructural Development is spearheading the formulation of a comprehensive transport model. The Sunday Mail also understands that in other cities, Government will rope in commuter omnibus players that are already operating under associations and co-operatives such as the Tshova Mubaiwa scheme in Bulawayo. In an interview, Minister of Transport and Infrastructural Development Joel Biggie Matiza said it was premature to declare phasing out of commuter omnibuses adding that competition would result in improved and efficient services. “We have just rolled out the programme after witnessing the chaos that was now rampant on our roads and in the urban transport sector,” he said. “It is a model that Local Government had started some time back. However, at this stage there is an inter-Ministerial committee comprising the Ministry of Local Government, Ministry of Finance and Economic Development and ourselves. “We came up with this plan, as we all know, Zupco does not have many buses so we invited other players to come on board and operate under the Zupco banner. “It is like a franchise and this will increase the number of buses. People will bring their buses with a driver and Zupco provides a conductor. They will get fuel from Government‘s CMED and Petrotrade. “The ministerial committee will be briefed fortnightly so that we know where we are having challenges so that they are addressed immediately.“People need to know that this plan is real and there is no going back. “There are actually a number of players with proposals of 18 seater and 30 seater minibuses. These are some of the things being put into the framework. The move to re-introduce urban mass transportations comes as commuter omnibuses operators have been accused of abusing their monopoly in urban transport by overcharging and ill-treating passengers through touting. 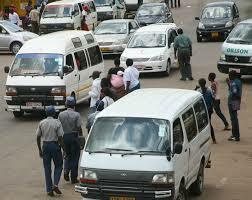 In Zimbabwe, it is estimated over one million people use public transport daily.